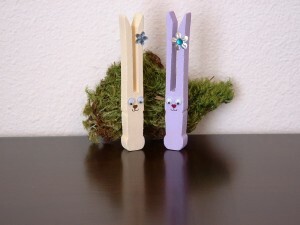 These bunnies crafted using old fashioned clothespins are perfect for Easter decorations or gifts. 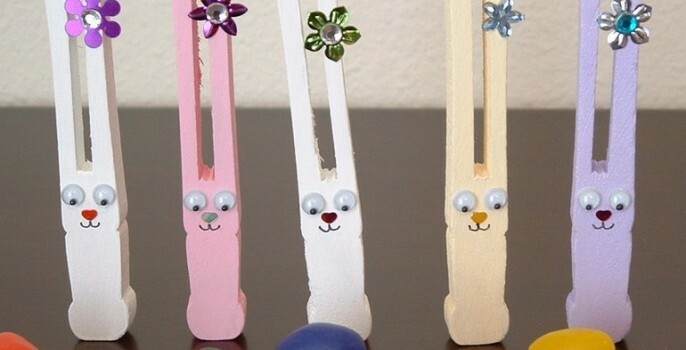 This simple craft project makes the cutest Easter bunnies in under an hour with less than $10.00 of materials. Old fashioned clothespins. 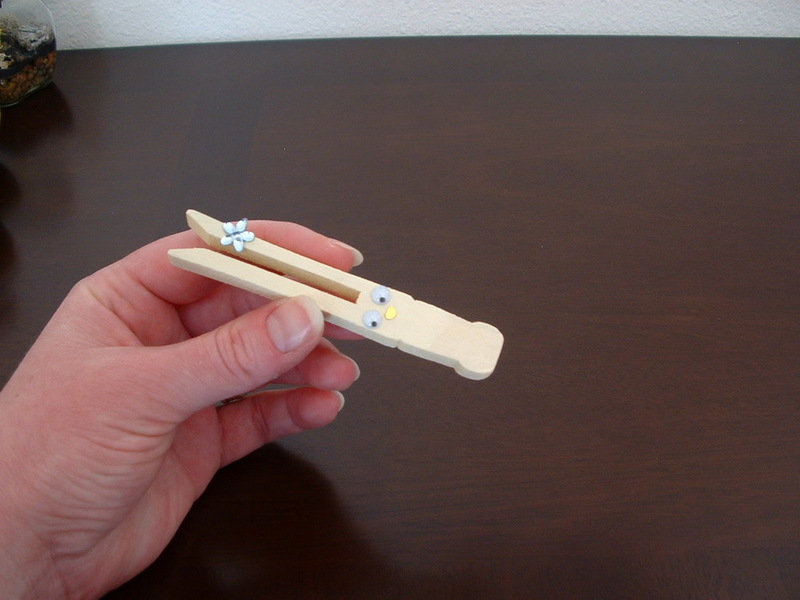 I used Woodsies brand No-Roll Clothespins. 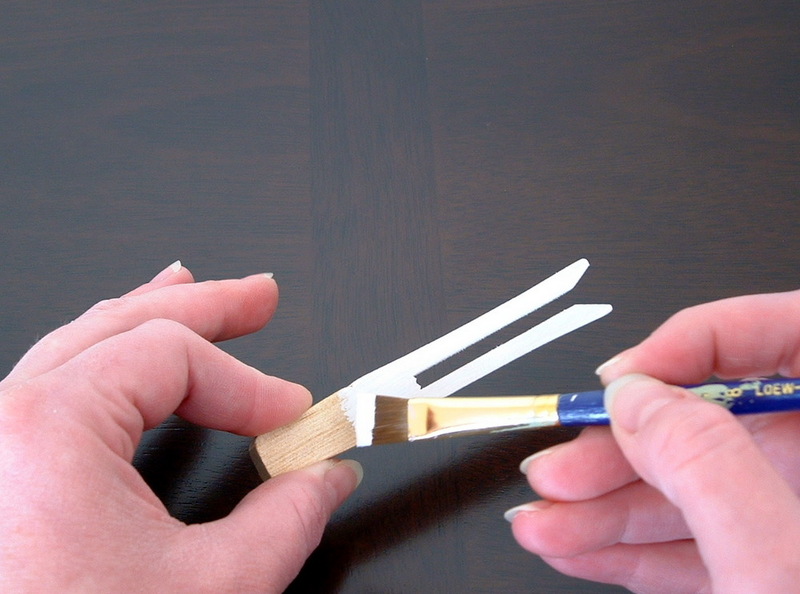 Acrylic paint in different shades (white, light purple, light yellow and light pink). 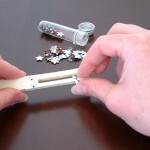 Embellishments such as dew drops, pom-poms, sequins, etc. 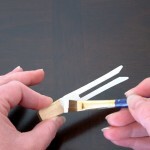 Paint wooden clothespins making sure that you don’t leave any drips on the bunnies. 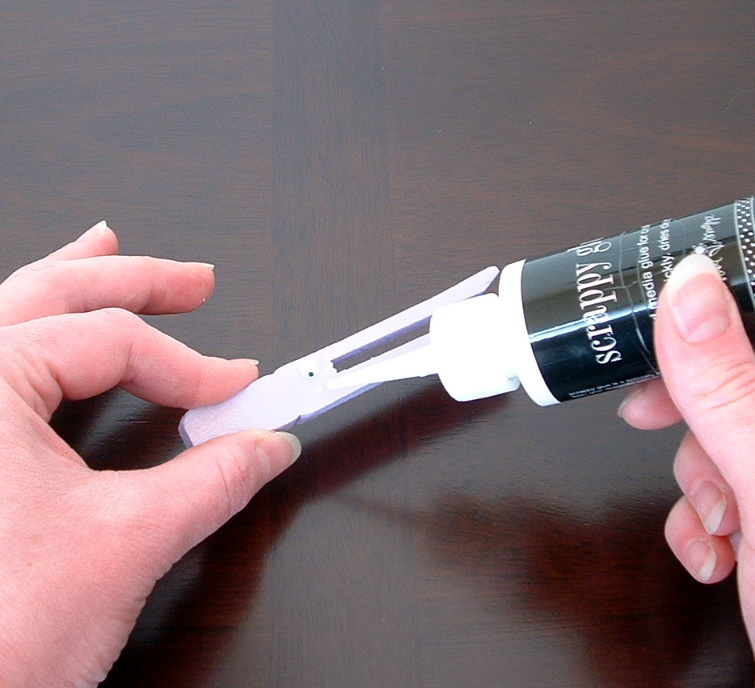 Use glue to attach googly eyes. Add embellishments.I used flower sequins and other embellishments for flowers. 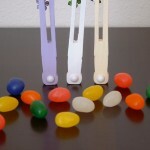 I used white Dew Drops for the bunnies’ tails but you can use white pom-poms, small cotton balls or the end of a Q-tip. Add a tiny drop of glue in center of the face, just below the googly eyes and attach heart right side up. If you don’t have small hearts, you can always draw the heart nose on with a very fine tip permanent marker. Draw on smile. I liked the two half circles connected to the bottom tip of the heart that I made but you can get creative with different expressions too. 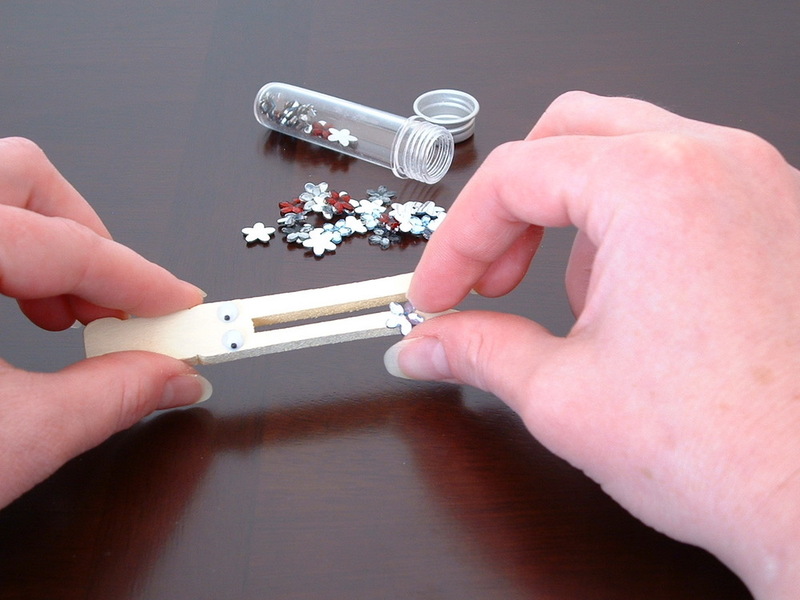 Let glue dry completely and then play! They are great. Never seen them before. 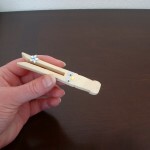 These bunnies are cute – I’m always looking for a craft to do with the grandchildren. 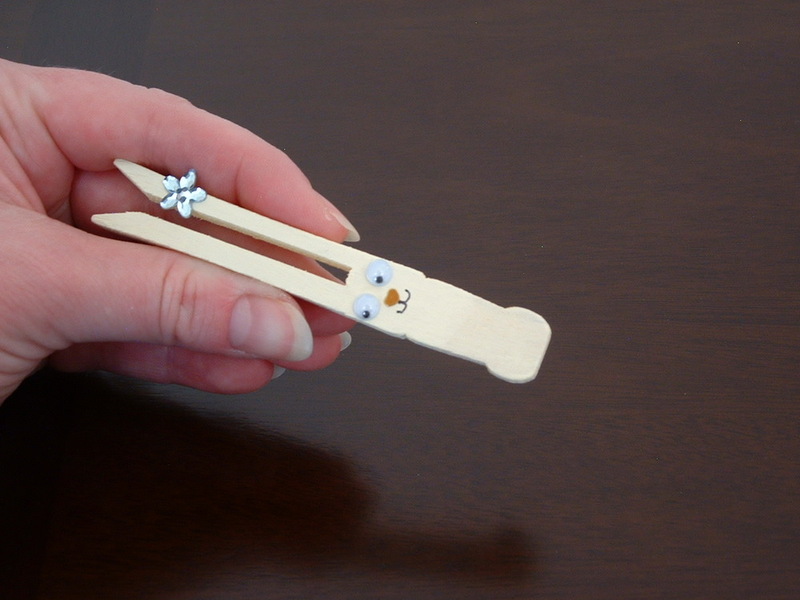 This looks like they could do this – I may get the larger version of the clothespins to make it easier for them. Thank you for sharing! I love this. 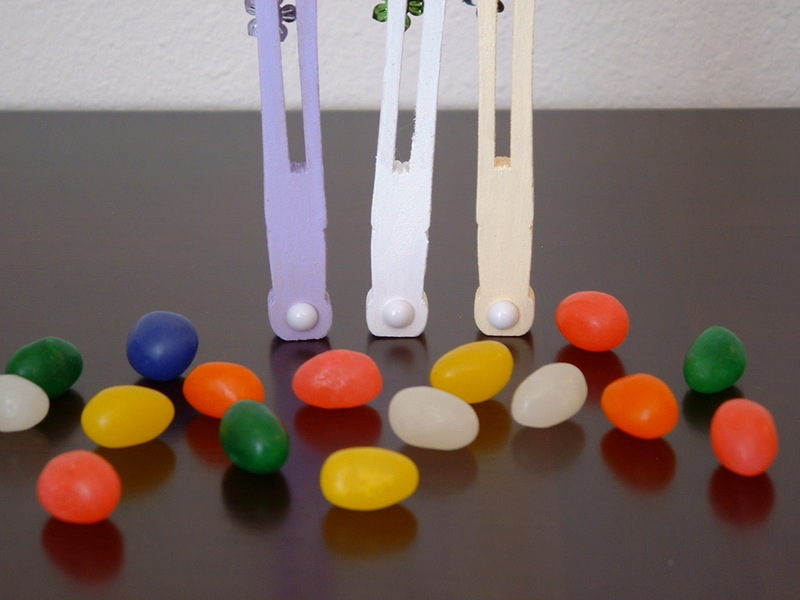 Can you tell me where to get those clothespins? I found them at Micheal’s. I’ve also seen them at Hobby Lobby. Make sure you ask for the old fashioned clothespins. Good luck! Such a cute little craft to do with my granddaughter. She will love it! What a wonderful Easter craft! Gotta make these! 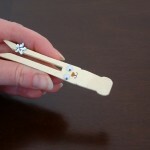 aaaw this is cute and adorable, sooo clever to make them of clothespin!!! !